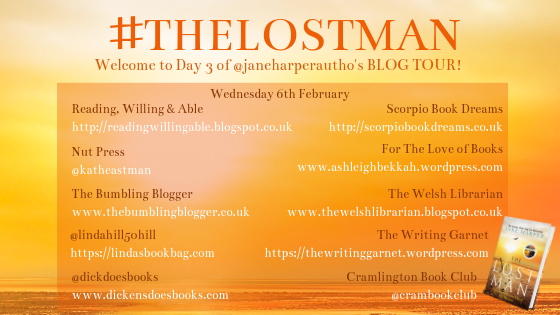 The Lost Man is the third Jane Harper novel that I've had the pleasure of reading, and I think it may just be my favourite yet. Harper's storytelling is magnificent and I always look forward to her novels. 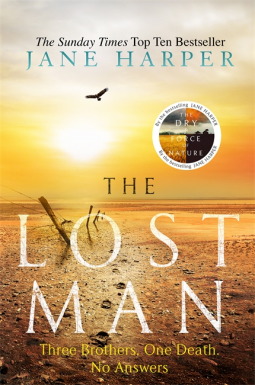 The unbearable heat and unforgiving conditions of the vast Australian outback set the scene for The Lost Man. Three brothers live on neighbouring farms; their farms each almost the size of a small country. Cameron Bright, is dead, days before Christmas at a place known as the Stockman's Grave. A place of local legend, a landmark so old that no one can’t actually remember who or what is buried there. When Cameron’s car is found nearby with good tyres, sufficient fuel and provisions, the local police have no option but to conclude that Cameron’s death was suicide. He knew the area, he grew up in the area, there is no way he’d have abandoned his vehicle and not taken the provisions. Cameron’s family although respectful of the police opinion, struggle to come to terms with it. Nathan the main protagonist of our story is convinced that there is more to his brothers death than meets the eye. Through Nathan’s eyes we learn so much about the Bright family. Seemingly normal from the outset, it is clear that the have a chequered history as the novel progresses. Could an outsider have wanted Cameron dead? I can’t answer that, not can I tell you anything about that ending that everyone’s talking about. You’ll just have to read this stunning novel yourself to find out. I can guarantee you won’t be disappointed. The Lost Man is available from 7 February 2019. Thank You to the publishers who invited me to review this novel in exchange for an honest review.